Amazing experience that starts in Early Spring. Nith River is alive with class 1 & 2 rapids due to Spring run-off and rain offering you the chance to experience a Southern Ontario river like no other. 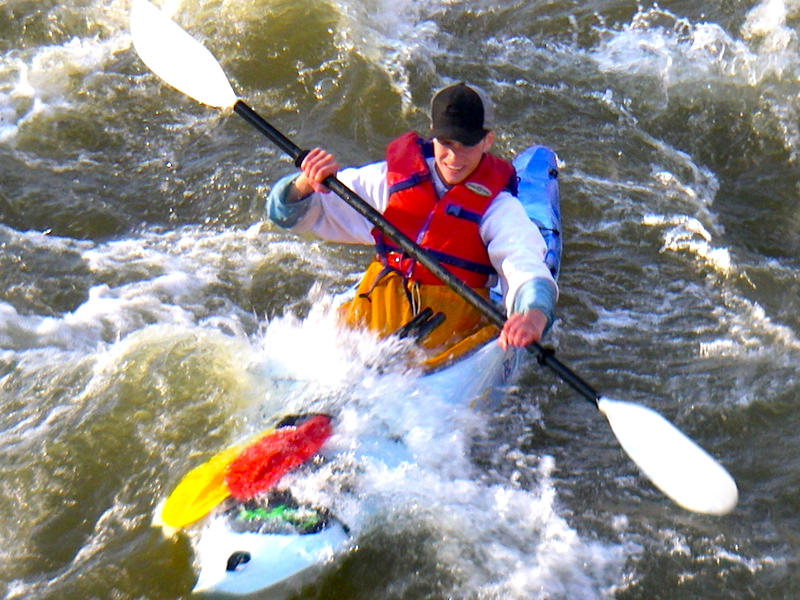 This trip offers something for the beginner who wants a challenge, to the experienced paddler who hasn’t seen local whitewater. Don’t miss some of the best paddling of the year: this trip is available while water conditions last. Our experienced guides will provide customized support while you learn about ancient Native Battles, and hear about the infamous outlaw of Mudge Hollow. Keep your eyes peeled for wildlife. Enjoy a hot riverside lunch at Viking Beach, including our famous Maple Chili. As the trip progresses, so do the skills required to navigate the river, culminating in 3-kilometres of Level 1 & 2 rapids: Arrowhead, Big Curve, and Penman’s Pass. Disembark in downtown Paris, the perfect place to enjoy your Apres Paddle.